Intensively and safely cleans the oil system of the engine from all contaminations. The cleaner disperses dissolved contaminations, keeps them in a suspended state and afterwards has them removed together with the used oil. Cleans the oil system of the engine from all types of contaminations. Universally applied to gasoline and diesel engines. Eliminates the effect of stuck hydraulic lifters. Introduce the contents of the tube into the oil filler neck of a non-working engine warmed up to its operating temperature. Replace the oil and the oil filter. 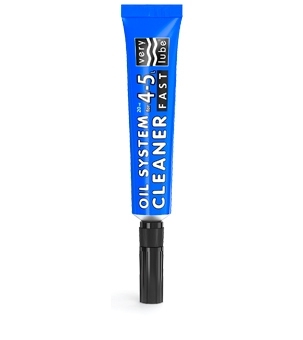 20 ml (1 tube) for 4–5 L of oil. Compatible with all types of oils. Safe for turbocharging units.